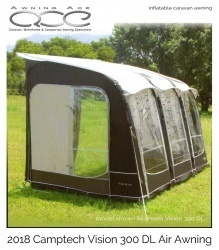 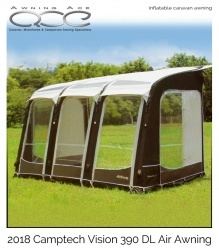 2018 Camptech Airdream Vision DL inflatable Annexe. 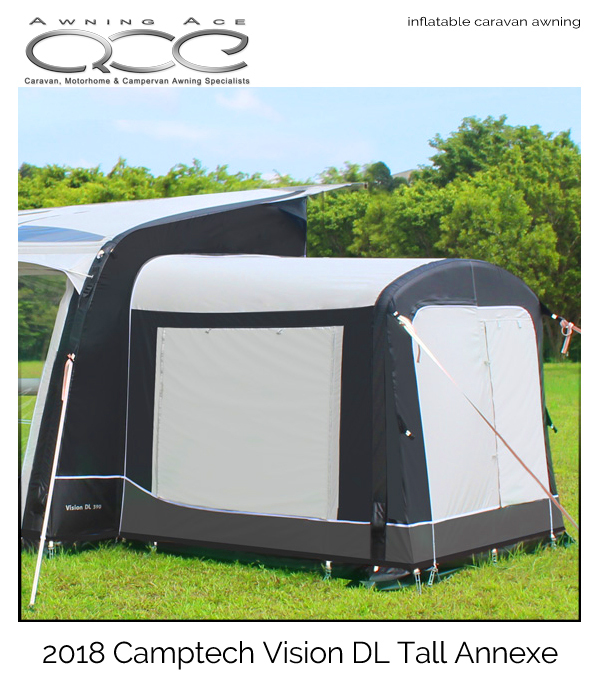 Constructed from the same amazing Climatech SR16 heavy-duty fabric as your awning, the Vision DL Tall annexe adds that extra flexibility to your camping holiday with minimal effort and maximum performance. An optional inner bedroom sleeping tent is also available for this annexe to further improve your sleeping accommodation.